Castille is the type of entertainer that reaches out and affects his audience, inviting them to join in the celebration of life. This comes from actually having lived the music that he plays. Born in Leonville on March 3, 1933, Castille learned to play the fiddle as a young teen from his Uncle Cyprien Castille. An accomplished player himself, Uncle Cyprien instilled into Hadley a deep appreciation for the Cajun method of making the fiddle sing. Long considered one of Cajun music's finest fiddlers, Hadley has developed into dynamic entertainer. He often introduces his songs with spoken narratives that give the audience some insight into the colorful background and history of the characters that inhabit his songs. Castille with his Sharecroppers Band are one of the finest exponents of authentic south Louisiana Cajun dance music. Led by charismatic Castille, their performances include turn of the century fiddle tunes, swing influenced Cajun Blues, accordion driven two steps, old time waltzes, and award winning original songs written by Castille and his son Blake. Hadley and his musicians have traveled throughout the United States, Canada, and Europe. They have performed at the New Orleans Jazz Festival, the Festival D'ete in Quebec, and the Kaustinen Folk Music Festival in Finland. You may have seen him on ABC's Good Morning America or NBC's Today Show. This summer he appeared on CBS' Morning Show, along with Louisiana native chef Paul Prudhome. His picture has appeared in many newspapers and magazines throughout the world. His recent French interview for Radio France was broadcast internationally to over a dozen French speaking nations throughout the world. He has appeared in many major motion pictures including, "A Perfect World" with Clint Eastwood, "A Man and his Dog" with Whoopie Goldberg, "Dirty Rice" by Louisiana Director Pat Mire, and he recently completed filming "Madame Le Consule: Mistress of the Bayou," a three part French television series. 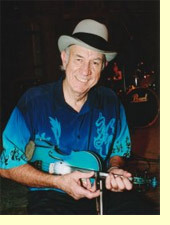 Castille has developed a unique blend of old and new, including original songs such as "200 Lines" that was winner of the CFMA "Le Cajun" award. His other song "Old Sharecroppers House," was the recipient of the CFMA's Heritage Award for outstanding contributions to Cajun culture. His recently released CD, "Quarante Acres et Deux Mulés" (Forty Acres and Two Mules), seemes destined to be a collectors' classic. Of the 15 songs on the CD, 11 were written by Castille and his son. His many awards include having been selected into the Louisiana Hall of Fame and receiving the Acadiana Folk Heritage Award from the Acadiana Arts Council. He has also been inducted into the Northwestern University Hall of Master Folk Artists. He also received an honorable discharge from the United States Army having served during the Korean War.